A Pregnant Woman Walks In. 1st Prenatal Yoga Tip: Don’t. Panic. Seriously, there is a lot of fear around pregnant and we don’t need to make it worse by worrying when a pregnant woman is in our yoga class. Nature is powerful – like a waterfall – and it’s really hard to change her direction. Think about it. If we could jump away a pregnancy, we would have a whole bunch of different kind of clinics, right? That said, there are certain ways to guide, support and inspire pregnant women that are more effective than others,and help her feel safe and cared for. Above are three prenatal yoga tips from Colleen Hieber and Jamie Hanson, both amazing Ma YogaTM Teachers and Teacher Trainers. 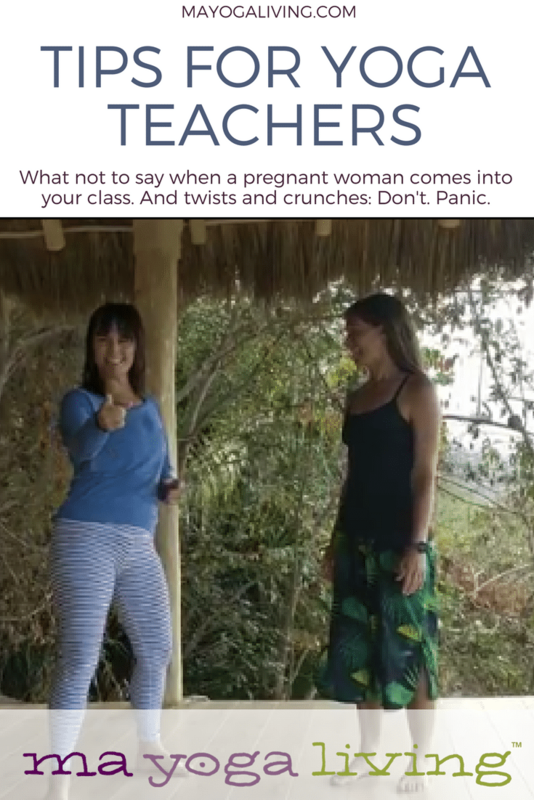 Grab your free ebook, The Yoga of Pregnancy for Teachers, here. And for more information about The Yoga of Pregnancy & Postpartum Teacher Training weekend, just go here. 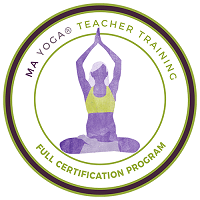 We would love to have you join us, whether it’s for a single training or the whole 85-hour Ma YogaTM/Yoga Alliance Certification Program!